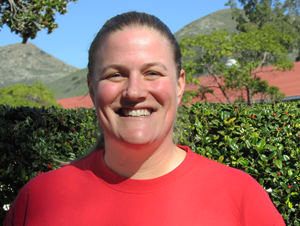 Molly Lear is the FSN Operations Manager and oversees the student production and sanitation crew for Cal Poly Jam, BBQ Sauce, and Chocolate. Molly maintains a state certified pilot plant and assists with internal and external teaching and research projects that may utilize the pilot plant. Molly enjoys working with students and promoting "Learn by Doing". Molly has experience in cultivar studies for processing tomatoes, clingstone peaches and dried plums as well as a comparing processing methods.